The Lissage Luxter® is new and sustainable care to get straight hair with “blowdry” effect and maximum volume. The lissage LUXTER® IS SUITABLE FOR HAIR that is FINE, CURLY, OR FRIZZES EASILY from HUMIDITY. If you dream of naturally smooth hair that retains movement and volume, the Lissage Luxter® is made for you! This professional care with plant collagen offers a smooth and natural effect, all while repairing your hair. Magic, it lasts between 6 and 8 months. Glamorous, smooth and naturally “blow-dried “hair. 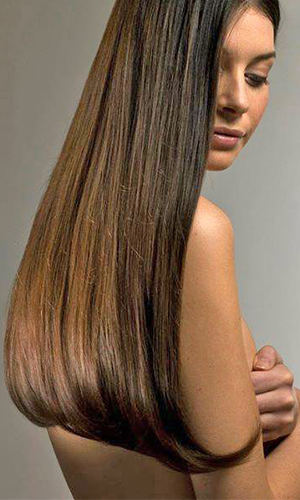 Inventor of the Japanese Straightening ®, Lissfactor Paris has designed this new care that is smooth and sustainable. It softens without damaging the hair. Lissage Luxter ® allows for straight hair, with maximum volume. The plant collagen it contains will focus on the hair and re-pulp the fiber. The Lissage Luxter® is a service exclusively available at Lissfactor Paris partners. Maintenance: For permanently smooth and shiny hair, it is recommended to maintain your Lissage Luxter ® with products from the Miso line , available in our partner salons or sold in our online store . What is the difference from the Japanese Straightening ®? With Lissage Luxter®, there is no chemical transformation, but it is just as durable.